On one day every year, community members all across the planet get together at local events and host/attend sessions on Azure; this is the Global Azure Bootcamp. It’s been running on a Spring Saturday for years, and this year it is on April 27th. Unfortunately, Microsoft Ireland wasn’t able to provide a venue so it looked like there would not be a local event in this part of Ireland. While I was at the recent MVP Summit, I threw out the idea of running an online version of the Global Azure Bootcamp … a Global Online Azure Bootcamp. The MVP Lead for UK& Ireland, Claire, loved the idea, ran off to the organisers of the global event, came back and said “do it!”. The idea is that sessions will be pre-recorded and made available online on a scheduled basis on April 27th. That means anyone with Internet access anywhere on the planet can join this instance of the Global Azure Bootcamp – some of the presenters will actually be live-presenting elsewhere that day! The content spans many tracks: dev, infrastructure, devops, data, AI, governance, security, and more. 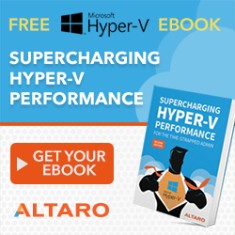 There really is something for everyone that is interested in Azure. You can learn more here on the official event site. Share details about the event’s site. 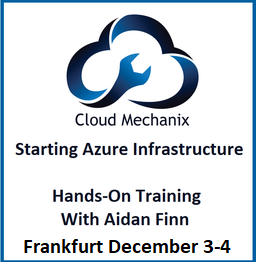 Registration is NOT necessary, but people can register to be reminded about the event and hear any releveant news – the details will only be used for the Global Online Azure Bootcamp and will be shared with no one, not even Microsoft. Share that. Hopefully we’ll see (so to speak because we don’t have tracking) you there on the day!